WHAT KIND OF COVERAGE ON CHINA EXISTS IN AMERICAN MEDIA? In an era of “fake news” accusations and hurries to call out media bias in every news story, an average American is likely to acquire information on global events through only the most major news outlets. American print media such as The New York Times, Wall Street Journal, and Washington Post are so well-acclaimed they are read widely overseas, but they retain a United States bias nonetheless. These major sources have the power to shape public opinion. To rely solely on U.S. perspectives on international news for both domestic and international audiences is irresponsible. 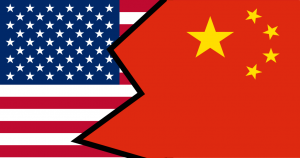 As China becomes a major power in the East, many Americans—and people worldwide—read nothing but negative accounts of a rival trade power, which hurts opportunities for cultural exchange and partnership between two leading powers on the world stage. When I came to the U.S. in 1949 as a young Chinese student, I had already been reading The New York Times for years. As a high school student in Beijing, I read publications such as the New York Times and Reader’s Digest for my English studies. My school’s deputy headmaster was an American missionary from Connecticut who required his students to read The New York Times almost daily. We discussed it in class and with American diplomats in the consulate. One of my teachers, a young woman named Ms. Larson, often took my classmates and me to see American post-World War II movies. The narratives in these movies and in newspapers and the stories that we saw in American media impacted all of us growing up in China. As all media has the power to do, these papers and movies alike shaped our understanding of America and the rest of the world. These news sources were among my first impressions of the U.S., and with them came a window into how the U.S. viewed its relationships with China and other countries worldwide. I continued to read The New York Times after I moved to the U.S., soon adding The Washington Post, Boston Globe, Baltimore Sun, and the Wall Street Journal—among many other papers—to my reading list as well. Writers for those news outlets in the mid-twentieth century were quite good. The contributions from writers such as Brooks Atkinson and Theodore White, for example, were not only knowledgeable, but they were moving and fair.. Their writing was much of the reason the New York Times was considered a reputable source on China, and therefore the reason we read it in school overseas. Stanley Karnow, a Pulitzer Prize winning writer for the Washington Post and an old close friend of mine, remains even to this day one of the best reporters I have ever known to cover news in Asia. As an adult I worked for the Library of Congress for almost fifty years and read all the print newspapers available to me. The Library of Congress collected every major print source, so that number was not small. Part of my job was to keep up to date with current events in China for research for Congress members, writing and translating with the use of all the resources at the Library. Even though I am retired now, I stay up-to-date with the same papers I have been reading for decades. As time has passed, the news I see of China in these outlets has adopted quite a different tone from what they had before. Readers are now warned constantly about the dangers of Communism, China’s designs on trade and power, and human rights violations. Rarely do I read about Chinese culture and innovation, nor how Chinese society is opening up and progressing. To anyone who did not grow up in China, this would present a grave view of China indeed. To someone like me who did, I see a tide of bad news about China that makes me wonder if this was all the knowledge people had of other countries. Beginning in the 1970s, as a professor of Chinese history at Georgetown and American University, I asked my students each week what news on China they had read. Despite China’s rapid economic development during this time, my students always wanted to know why there was only bad news coming out of China. Negative press was all they ever saw. It was a sad insight into the skewed impressions one-sided reporting leaves on many Americans. Articles with negative coverage not themselves necessarily a problem, but they are not published in a social vacuum. When topics that address only the negatives in China are presented without any additional headlines on rising standards of living, technological innovation and development, nor even cultural history, readers’ perspectives become distorted. Truly unbiased news comes from a collection of many points of view, both positive and negative alike. Instead, readers are given few options but to believe the worst of China, rather than allowed to form their own, nuanced impressions. And it isn’t only average Americans who are influenced by this, as well: lawmakers and members of Congress rarely have adequate sources of education on foreign policy. Their knowledge, too, comes directly from sources like the New York Times or Washington Post, where they receive a heavily U.S.-centric view of events that informs and influences their policies, which in turn influences American people, the country, and the rest of the world. Major print sources should reach out to their readers worldwide for input, discussion, and balanced analyses of global news. People belonging to minority groups like Asian Americans struggle to publish in major sources even on issues relating to East Asia, when they are the ones whose opinions should be most informed and valued. I have run into this problem, myself: though I have no problem publishing in foreign-based or foreign-language papers, despite all my accreditations and experiences at universities and U.S. government, I have encountered the same roadblocks as most Chinese-Americans trying to publish with major news sources. In 2016, on the 50th anniversary of the Cultural Revolution, I wrote a letter to The New York Times recounting the story of my mother’s death at the hands of the Red Guard. I never even heard a response. What I have noticed, however, is a theme among those Chinese American authors who do manage to find a footing in major American news. Chinese Americans who criticize the Chinese government have little problem publishing opinions in places like the Wall Street Journal. They are presented as the primary voice of Chinese Americans. Even letters to the editors in opposition with those points of view struggle to make it into print, no matter one’s identity or credentials. In American so-called “freedom of press,” the only published Chinese or Chinese-American authors in major news sources are political dissidents. This is not the true freedom of speech American media claims to have. This is irresponsible reporting, and this is discrimination. Alibaba executive vice chairman Joseph Tsai accused Western news media of covering China “through a very particular lens.” This, in its own way, restricts not only voices, but also the knowledge and views of a paper’s readers. It is true that foreign journalists in China are often subject to restricted areas of travel, limited sources, and the danger of revoked visas if a journalist treads too far into forbidden territory on various subjects. This is all the more reason that American media should accept views and contributions from perspectives around the globe. If the U.S. wants to pride itself on being a beacon of free press, it cannot limit a wide range of voices, topics, and opinions. Otherwise, for all its criticism of China’s propaganda machines, what U.S. media publishes is its own propaganda. To be sure, Chinese Communist Party-controlled media such as China Daily is subject to some level of censorship. But even those sources take a more balanced view on the U.S., for example, than U.S. media takes on China in turn. South China Morning Post in Hong Kong has become a beacon of free speech, where Chinese American authors can publish without needing to adhere to a certain line of thought. No society nor government can change within only a few short years, but Chinese society is changing and developing. American media should put more effort into reflecting and explaining those changes. We have no more Stanley Karnows writing for the Washington Post. Even in China, internal sources cover a wide variety of topics relating to America for high-ranking officials’ knowledge. For greater international understanding and cooperation on all sides, both local and international readers deserve that much. Journalists have a responsibility to conduct a broader range of study and writing on other countries, especially when international studies are not standardized in American classrooms. As a Chinese American, I find it sad that major news sources in our country are so unwilling to provide a variety of informed analysis and opinions on an international stage. The New York Times, Washington Post, and Wall Street Journal, among others, serve as a bastion of information both for Americans and international readers alike. These papers should be aware of their international audiences, as well as the role they play in social diplomacy. When American media focuses on other countries through negative lenses, it fosters mistrust of American readers towards those countries, as well as mistrust from those countries to the U.S. in return. Biased views have no place on an international stage. American print media needs to open its doors to diverse views, analyses, and stories regarding countries like China from people around the world.